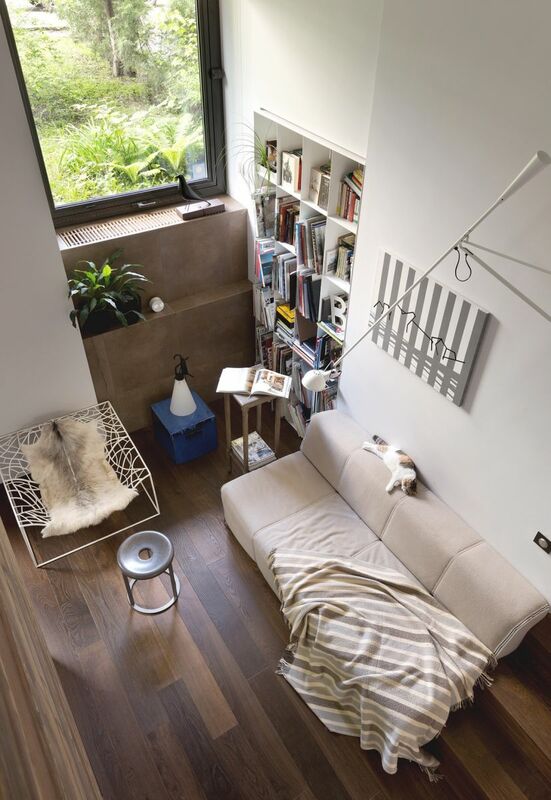 This lovely little space belongs to a very personal architect. When we look at interior design, it reminds us of a simple life, simple wear, but it will not affect the "quality" of human architectural artists. The bookshelf was hollowed out into a corner next to a tall window. The rotating arm wall light neatly provides light readings on the sofa. 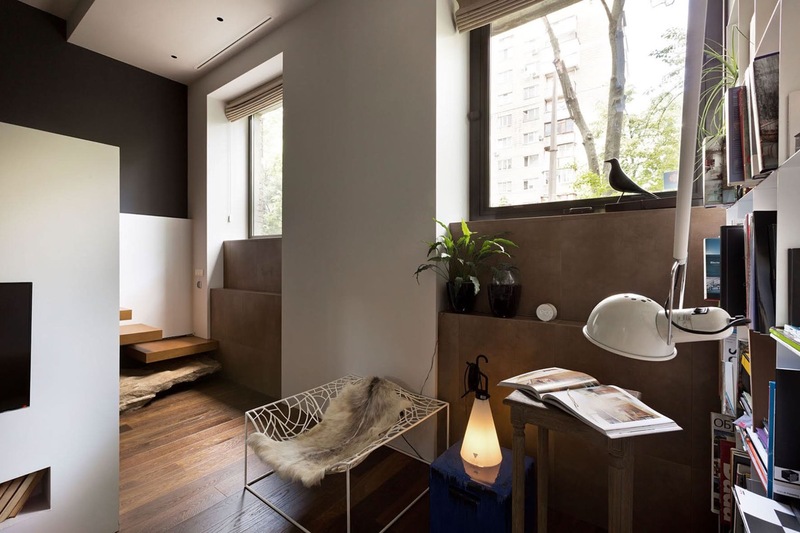 An Eames-style bird stops on the window sill and looks like a furry friend on the left side of the window. 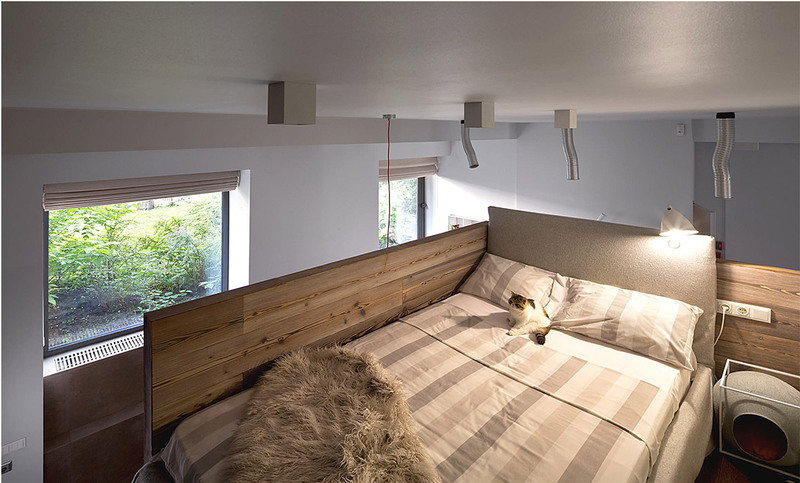 The elevated sleeping area is disguised as a solid wood block on a white partition wall. 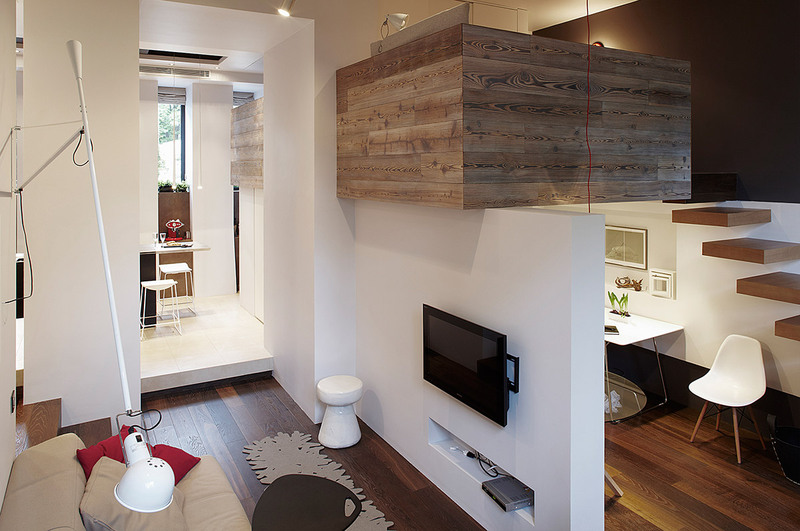 A modern home office is located below the bedroom and makes full use of the existing space. Floating stairs lead the owner to sleep and leave the maximum amount of natural light from the window to the office. The loft has a double bed and a sofa bed. 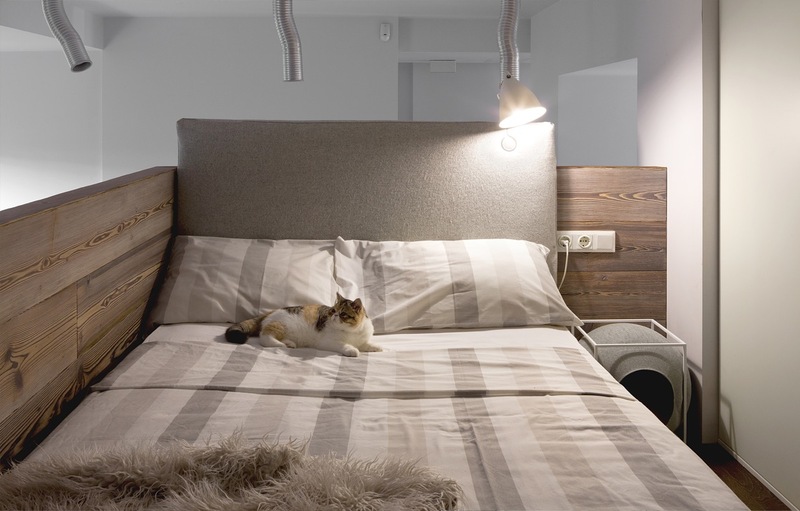 Some stylish cats at the bedside hide their cats' own places - although they seem to prefer larger beds!